Tomato happens to be the soul of every dish. Present in almost every cuisine, tomato adds a tangy and sweet flavour to any dish it is added in. Tomatoes are considered to be the backbone of Mediterranean cuisine. 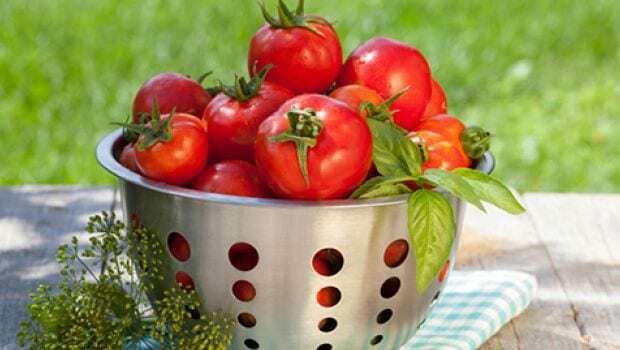 Be it pizzas, pastas, sandwiches or even alcoholic beverages, tomatoes are widely used in a number of preparations. There is no denying the fact that tomatoes are loaded with health benefiting properties. Rich in vitamin C and A, tomatoes are an essential part of a balanced diet. However, a lot of us face problems while cutting or chopping tomatoes. More often than not, it needs precision and a proper technique to chop tomatoes. It can be cut into small cubes, slices or wedges. So if you've been messing up in the kitchen while handling tomatoes, follow the steps given below and chop tomatoes like a pro. STEP 1: Wash the tomatoes thoroughly under running water. Remove dirt or any other foreign residuals on the tomatoes. STEP 2: Use a spoon or knife to remove the top-most stem part of the tomatoes. STEP 3: Cut the tomato into two equal halves from the top. STEP 4: Place these round pieces of tomato over each other on a cutting board. Hold it with one hand and make vertical cuts over it. STEP 5: Now, cut it lengthwise into thin strips. Once this is done, hold the strips together and make horizontal cuts over them to create small diced cubes. STEP 6: Continue the process with other tomatoes until they are fully chopped. Use the chopped pieces to make subzis or add them in your salads. A very easy-to-make snack, bruschetta is full of flavours. It only needs toasted or grilled bread. 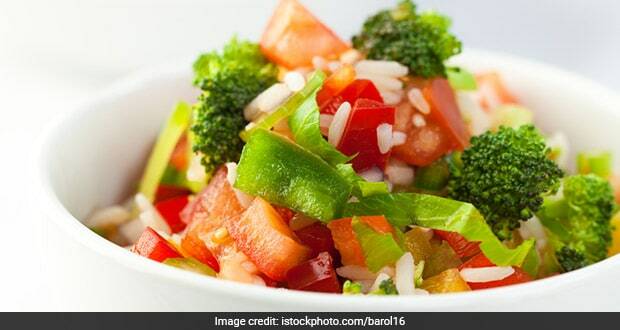 It can be topped with freshly chopped tomatoes, seasoned with salt and pepper. Tomatoes taste great in salads and they are quite filling at the same time. Just toss in some chopped tomatoes in your salad and you're done for the day. If you're a tomato soup lover, then this one's for you. Chopped tomatoes can be used to make this delectable appetiser. You can add a twist to it by adding basil, rosemary or fennel. 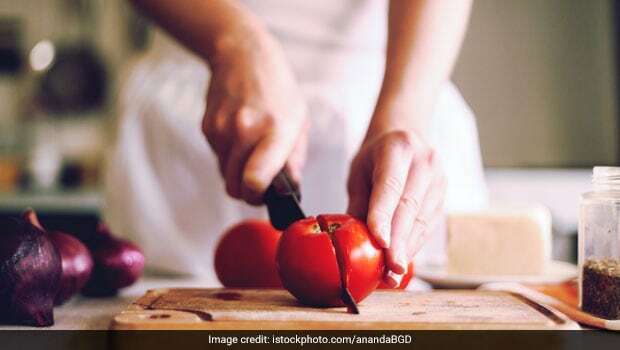 Now that we've shared with you the right technique, chop the tomatoes like a pro and try making the dishes mentioned above.